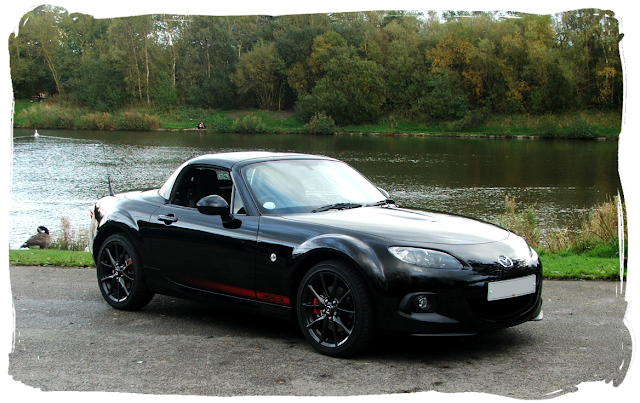 Andy's MX-5 is a 2013 Sport Tech model in Brilliant Black. The car is one of 30 Recaro editions in the UK that featured the optional leather and alcantara Recaro seats as standard equipment. 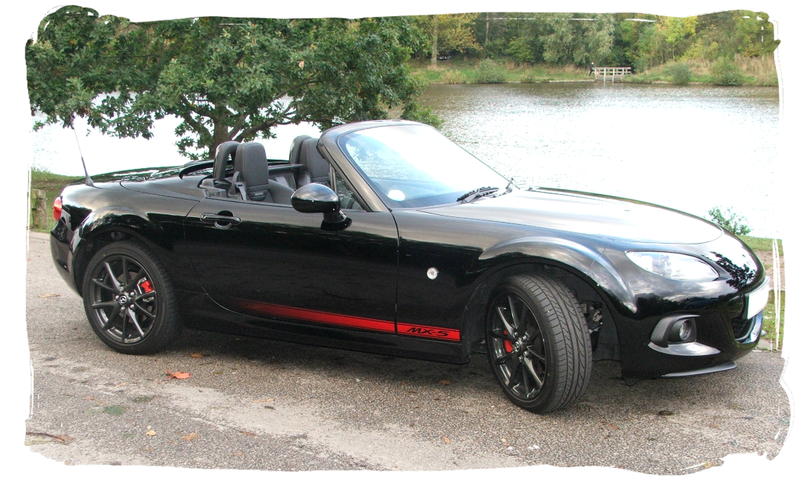 They also had an exterior graphic racing stripe down the side of the car - as seen on the USA's Club spec MX-5. After previously owning an NB2 Nevada special edition for a number of years, Andy was looking for a change and had his eye on the 3rd generation models. The story goes that after a visit to a dealership in Warrington to view a Venture edition, it was the Crystal White Recaro model that stole the show. 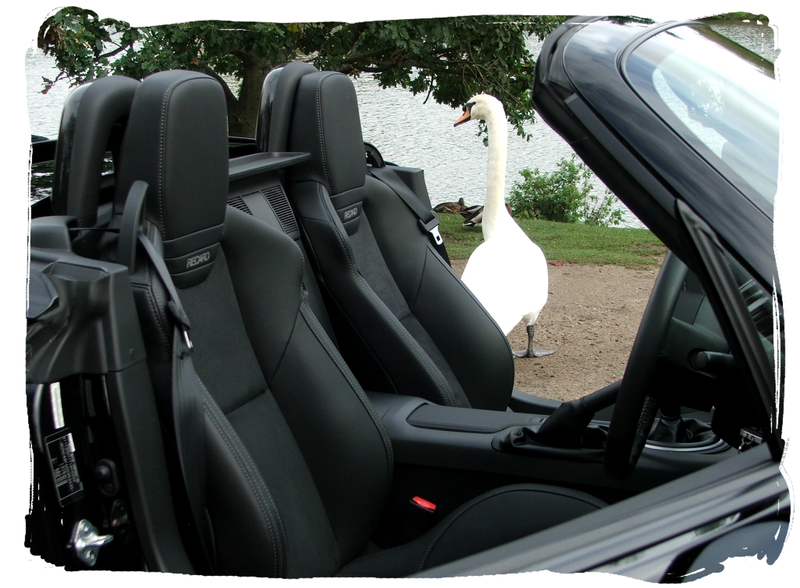 Andy had stumbled upon the only white Recaro MX-5 in the UK and though the bright paintwork wasn't quite to his taste that car certainly made an impact. The dealership didn't have a Venture available to view so Andy headed back for the M6 and on into Preston to another showroom. Within seconds of walking through the door, Andy was greeted by the black version of the car he'd seen earlier that day and knew immediately he had to have it. A deal was done with the salesman, Andy signed on the dotted line and four days later the car was on the driveway and a big smile was on the new owner's face. "I'm head over heels in love with the car and for me it absolutely borders on perfection! My neighbours and friends drool over it ever time they see it and it turns so many heads when I'm driving! The interior of the car is brilliant, the stars being those wonderful, amazing seats! They are so, so comfortable and give you a welcoming hug when you get in and hold you firmly until you have to get out of the car!" Andy has already started modifying the car with red painted brake calipers, his future plans include adding the rear diffuser and a small lip spoiler to the bootlid. 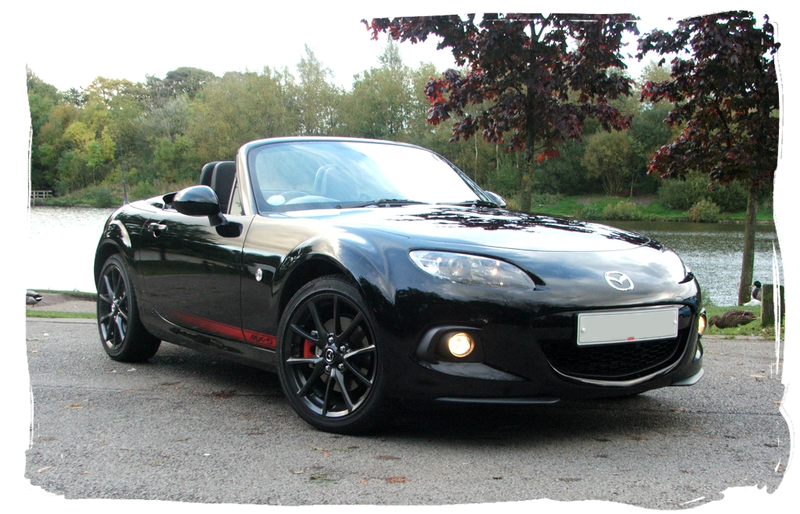 A sports exhaust and some lowering springs are also on the to do list.